While Bali is well-known for its multitude of luxurious resorts, the Komodo Islands have been lacking a true five-star luxury resort until now. 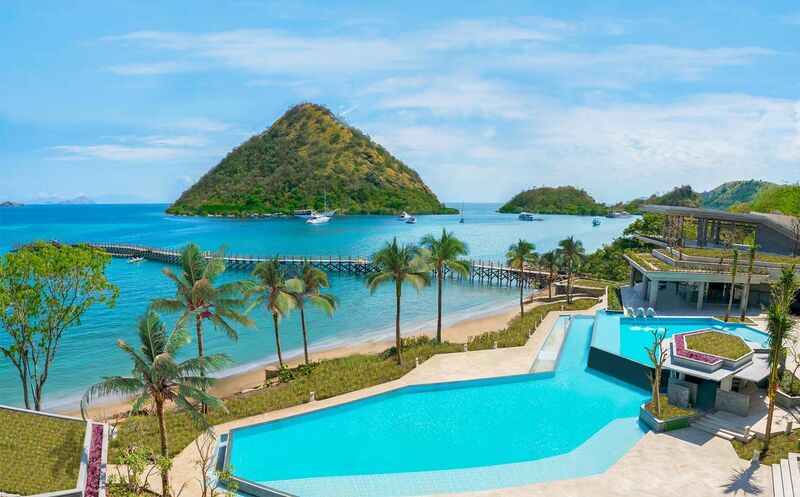 Opening on September 15, 2018, AYANA is opening a brand new resort on Flores Island at Labuan Bajo, a beach oasis located just one hour's flight from Bali. Declared a UNESCO World Heritage Site in 1991, the Komodo National Park is made up of many islands, the biggest including Komodo, Rinca and Padar. Many visitors come to see the famed Komodo dragon, the world's largest species of lizard weighing up to 92 kilograms. With 192 guest rooms and 13 suites, each of the rooms were designed to let the maximum amount of light in with ocean views, creating a comfortable and breezy environment. Check-in takes place on the resort's 11th floor, and guests can access the beach by descending down to the shores. The resort also has a private white sand beach, two swimming pools plus one for kids only, a spa, gym and kid's club. You'll never go hungry at AYANA Komodo Resort, as there are six different restaurants and bars to sate your appetite. There's Rinca, serving all-day international and local cuisine, Pempe, the rooftop bar for sunset cocktails and light bites, Kisik Bar & Grill for the island's best seafood, HonZEN for Japanese cuisine, Naga, the pier bar, and Mesa, the lobby bar. Indonesia was voted the most popular dive destination in 2017 and we couldn't agree more. At AYANA Komodo Resort, the world's best dive spots will be just steps away—and their in-house experts will show you exactly where to go to experience the most diverse marine life. The underwater activities don’t end there: swimming with manta rays, dolphin watching, snorkel and stand-up paddleboard are all activities not to be missed. Alongside the resort, AYANA is also introducing a new 54-metre long, 11-metre wide phinisi cruise ship called AYANA Lako di’a. With nine bedrooms on board, it can be chartered privately or per room for trips of two to three nights around the Komodo Islands. Ahead of AYANA Komodo Resort's opening on September 15, 2018, the resort is extending discounts of 20 percent off, as well as the following pre-opening offer: book two nights and receive an extra night on the house, or book four nights and get two additional nights free.